The company's latest iPhone models have been revealed. Apple has announced the newest additions to its smartphone lineup. The collection includes the flagship iPhone Xs and iPhone Xs Max, along with the new iPhone Xr. The iPhone Xs features a 5.8-inch Super Retina OLED display with a resolution of 2,436 x 1,125. Meanwhile, the iPhone Xs Max features a larger 6.5-inch Super Retina OLED display with a resolution of 2,688 x 1,242. In addition, both models offer support for Dolby Vision and HDR10. Under the hood, the smartphones are powered by Apple's A12 Bionic chip with next-generation Neural Engine, six-core fusion architecture, and a four-core GPU running iOS 12. A dual rear camera design with a wide-angle 12MP and telephoto 12MP lens is integrated as well, along with a 7MP front camera. Likewise, the phones support premium image features like advanced depth segmentation using the Neural Engine, Smart HDR, advanced bokeh quality in Portrait mode photos, and a dynamic depth of field option. "iPhone Xs is packed with next-generation technologies and is a huge step forward for the future of the smartphone. Everything is state of the art including the industry-first 7-nanometer A12 Bionic chip with 8-core Neural Engine, faster Face ID and an advanced dual camera system that shoots Portrait mode photos with Smart HDR and dynamic depth of field," said Philip Schiller, Apple's senior vice president of Worldwide Marketing. "iPhone Xs is not one, but two new iPhone models, and iPhone Xs Max offers the biggest display ever in an iPhone with the biggest battery ever in an iPhone, delivering up to an hour and a half more battery life in your day." And beyond the flagship models, Apple also announced the new iPhone Xr. This model features an aluminum and glass design with a 6.1-inch Liquid Retina LCD display and a resolution of 1,792 x 828. Under the hood, the device is powered by the same A12 Bionic chip as the step-up models. Finally, a rear 12MP wide angle camera and front 7MP camera are integrated as well. "iPhone XR helps us reach even more people with the latest iPhone innovations. 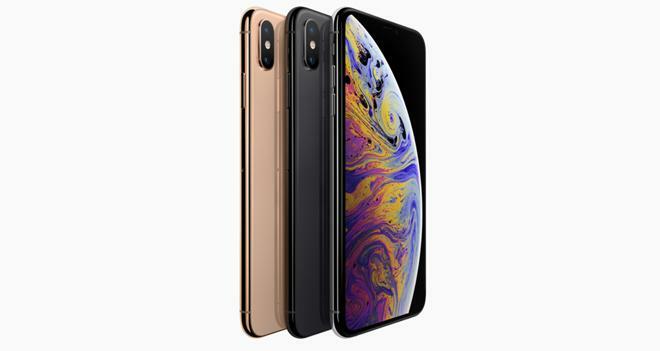 It is packed with the newest technologies including a 6.1-inch Liquid Retina display that goes edge to edge, the latest TrueDepth camera with faster Face ID authentication, new 7-nanometer A12 Bionic chip with second generation Neural Engine and a 12-megapixel camera that takes advanced Portrait mode and Portrait Lighting photos," said Philip Schiller, Apple’s senior vice president of Worldwide Marketing. "The new iPhone XR has a gorgeous new aerospace-grade aluminum and glass enclosure that has IP67 protection from liquids and dust, long all-day battery life and comes in six beautiful finishes. iPhone XR makes it possible for even more people to have the great experience of the latest iPhone X technology, in beautiful new designs, at a more affordable price." The iPhone Xs and iPhone Xs Max will be available in 64GB, 256GB, and 512GB models in space gray, silver, or gold finishes starting at $999 and $1,099. Pre-orders are set to launch on September 14 and units will start shipping on September 21. The iPhone Xr will be available in 64GB, 128GBm and 256GB models in white, black, blue, yellow, coral, or red starting at $749. Pre-orders will begin on October 19 and units will start shipping on October 26.